Disclosure: I received samples from the vendor in exchange for an honest review. All views shared are mine and mine alone. One of my favorite things to do is listen to music. There is something relaxing about music, that when a good song comes on, you can't help but dance and sing along to it. And, when you are having a blah day, music is a great pick me up. Don't you agree? But, when you have kids, especially young ones, you can't listen to just any old music, as you have to be cautious of the lyrics and song content. My girls like repeating things they hear, so I have to make sure they aren't picking up fowl or inappropriate language from songs they hear on the radio or that I stream through the house. Because of this, I am always on the look out for kid-friendly music that the girls will enjoy, and that I can stand. Yeah, you know what I mean, many of the kid music out there can be annoying (especially when kids have the same song on repeat). If only there was music made for both kids and adults in mind. 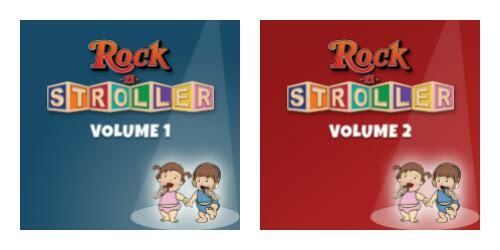 Well, thanks to Grammy award-winning producer Andy Zulla and award winning recording artist and Broadway performer Matt Zarley, they have created a new CD collection called Rock-n-Stroller. These CD's (which consist currently of Volume 1 and Volume...see track lists below), bring back classic songs from 1970's and 80's that most of us grew up listening to and loving. I bet when you check out the track listings you will find yourself saying, "I love that song, and that one, and that..." Each and every song on these two CD's was a hit and still popular and fun to listen to today. And, now you can enjoy some of your favorite songs you know the words to and love to sing with your hairbrush, and not have to worry about covering your kid's ears. I was so hoping to get a video or two of the girls singing some of my favorite 80's tunes, as they really got into these two Rock-n-Stroller CD's, but due to Bella's recent asthma attack and Savannah recovering from pneumonia, they really haven't been photo/video ready. Hopefully soon, though, I will get the on video as they really look and sound cute singing and dancing along to some of their new favorite songs including "Dancing Queen" and my all-time favorite song, "Take on Me." And, as a parent who can't go a day without having music playing in the house, I am in love with these two CD's, and plan to purchase another set of these CD's to leave in the car. I hate when I run out with the girls and find I forgot to throw these CD's in my bag. My girls are asking from the back seat to play the CD's and then I realize I forgot it in the house, as we had listened to earlier in the AM or while getting ready. Who doesn't love artists like the Beatles, ABBA and Elton John, to name a few? 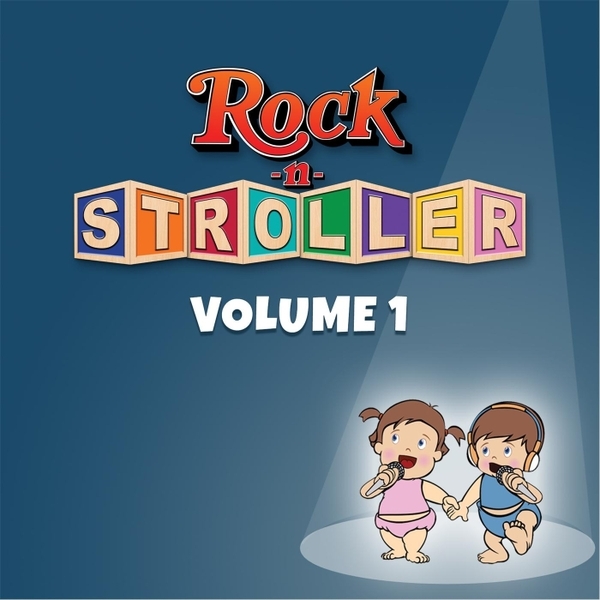 When you pick up Rock-n-Stroller Volume 1 and/or 2, you will be happy to find timeless pop and rock hits from these and so many other artists. You will find yourself singing along with your kids to the catchy tunes. And, what is so great about these CDs is that when you play them, it usually leads to an impromptu dance party in the house. Moments like these are what I treasure with the girls, as I know when they get older, they will not want to get up and sing and dance with me, and will realize that Mommy can't carry a tune, and will not want to hear me sing. But, right now, I am a great singer, and have some fun moves they like to imitate (shh, don't tell them I also have two left feet). We have been having so much with listening to these CDs and I can't wait for more volume to the Rock-n-Stroller series to be released, so that I can share more of my favorite songs with the girls, and they can appreciate how music is supposed to sound, and not just listen to the same old animated show CD or that annoying kid's CD you wish went missing. 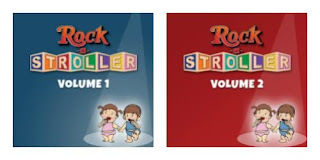 To learn more about Rock-n-Stroller and their CD collection, head on over to www.rock-n-stroller.com today. These CD's would make for a great gift idea for new moms, or moms with young children that love music and are looking for kid-friendly music they can enjoy (themselves) and with their kids. I have found myself playing these CD's at nigh time when I am cleaning up and the girls are in bed. The music is so well made, it is a nice way to unwind after a crazy day, while enjoying your favorite 70's and 80's music, in a refreshing new way. "Rock-n-Stroller was created by Matt Zarley and Andy Zulla. ​After enduring endless hours of listening to kids sing the latest top 40 tunes on any of those popular kids cover song CD’s, Andy says he and Matt had an idea. Wouldn’t it be awesome if these songs (that kids love to sing incessantly), were the songs that we actually wanted to hear? And with that question, the concept of Rock-n-Stroller was born. Matt made his theatrical debut as the youngest to ever perform in the hit Broadway musical Cats. His career continued with roles in Chicago, A Chorus Line, The Who’s Tommy, and Joseph and the Amazing Technicolor Dreamcoat. Matt is also an award winning, four time Billboard charting recording artist, whose albums include: Debut, Here I Am (2008 Billboard Critics Top Ten and American Idol Top 20 Songwriter) and Change Begins with Me (2012 Outmusic Award for Album and Single of the Year and #1 for a month on the Eurochart). He released hopefulROMANTIC, an original musical short film he wrote, produced, and starred in with internet phenom and Star Trek star, George Takei. Matt’s latest project The Estrogen Sessions, is a tribute to some of pop music’s most prolific female artists featuring the songs that they made famous."